Boko Haram has killed one of the health workers kidnapped from Kala-Balge, Borno State, Saifura Khorsa, a midwife with the International Committee of Red Cross. In a video seen by an online newspaper, The Cable, the deceased who was wearing a white hijab was shot from behind. The sect also threatened to kill Hauwa Liman and Alice Ngaddah who were abducted alongside Khorsa in March, 2018, as well as Leah Sharibu, the remaining Dapchi schoolgirl in Boko Haram captivity. At least four soldiers, policemen and three humanitarian workers were killed in the attack in Rann, Kala-Balge Local Government Area. Liman, one of the workers abducted, had sent an audio to one of her friends, demanding that her parents be informed that she had been kidnapped. Liman and Ngaddah, a mother of two, who worked with United Nations International Children Fund, were the ones in captivity among the three people abducted in Rann on March 1. According to The Cable, the insurgents claimed that they had contacted the government over the captives but did not get any response. “We contacted the government through writing and also sent audio messages but the government has ignored us. So, here is a message of blood,” said a spokesman of the group who did not give his name. 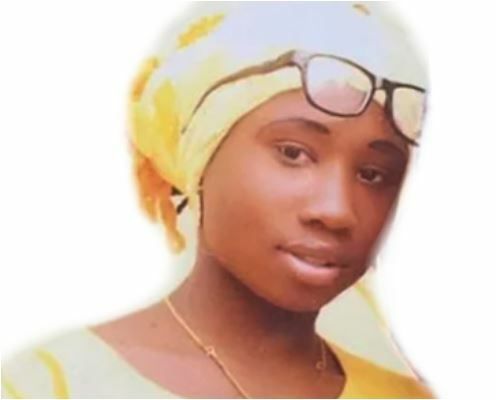 “The other nurse and midwife will be executed in a similar manner in one month, including Leah Sharibu,” the sect threatened. The ICRC in a statement on Monday by its spokesman, Aleksandra Mosimann, condemned the killing, and described the action as sad while calling for the immediate release of the two others still in captivity. The statement read, “The International Committee of the Red Cross condemns in the strongest terms the tragic killing of its abducted colleague Saifura Khorsa. The statement quoted the head of the ICRC delegation in Abuja, Eloi Fillion, as saying the murder was devastating. He said, “Saifura moved to Rann to selflessly help those in need. Our thoughts are with her family and other loved ones at this incredibly difficult time. “We urge those still holding our colleague, Hauwa, and Alice: release these women. Like Saifura, they are not part of the fight. They are a midwife and a nurse. They are daughters, a wife, and a mother – women with families that depend on them,” Fillion stated. Since the women’s abduction six months ago, the ICRC said it had made sustained and committed efforts to secure the three healthcare workers’ release, stressing that it would continue to do everything in its power to ensure that Liman and Loksha were released and returned to their families immediately. ICRC, in another statement by its Communication Officer, Eleojo Akpa, said it condemned the murder. It asked the Boko Haram insurgents to release another two workers still in their captivity. Meanwhile, the United States has condemned the murder of Khorsa, describing it as a heinous and inhuman act.